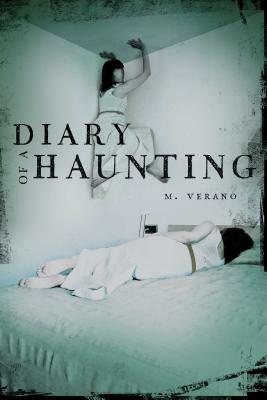 In the tradition of Paranormal Activity and The Blair Witch Project, an American teen recounts the strange events that occur after she moves into a new—and very haunted—home with her family in this chilling diary that features photos and images of what she experienced. Letters, photographs, and a journal…all left behind in the harrowing aftermath. Following her parents’ high-profile divorce, Paige and her brother are forced to move to Idaho with their mother, and Paige doesn’t have very high hopes for her new life. The small town they’ve moved to is nothing compared to the life she left behind in LA. And the situation is made even worse by the drafty old mansion they’ve rented that’s filled with spiders and plenty of other pests that Paige can’t even bear to imagine. Pretty soon, strange things start to happen around the house—one can of ravioli becomes a dozen, unreadable words start appearing on the walls, and Paige’s little brother begins roaming the house late at night. And there’s something not right about the downstairs neighbor who seems to know a lot more than he’s letting on. Things only get creepier when she learns about the cult that conducted experimental rituals in the house almost one hundred years earlier. The more Paige investigates, the clearer it all becomes: there’s something in the house, and whatever it is…and it won’t be backing down without a fight.